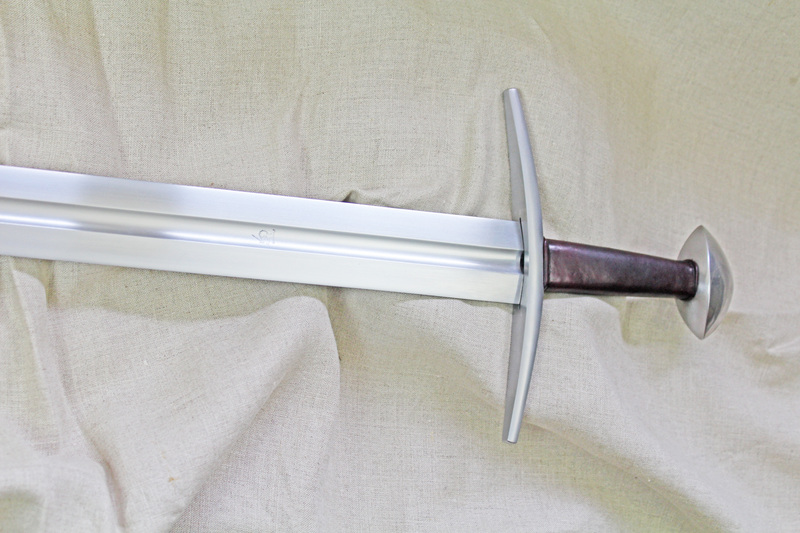 This project is a custom recreation of an early medieval sword with basic specifications by the customer. Similar swords saw use in the late 10th century to the mid 11th century. The blade is forged 80CRV2 high carbon steel. Fittings are forged mild steel. The scabbard and grip are dyed a pleasing burgundy red. The blade can be classified as a Geibig 6, but there is always some ambiguity when typing these swords. The scabbard is thin wood layers that were glued together to form a core. The core was then covered in leather and stitched on the back side. The laced scabbard belt is dyed black. This type of belt was a common style used by the Normans (and others) during this period. 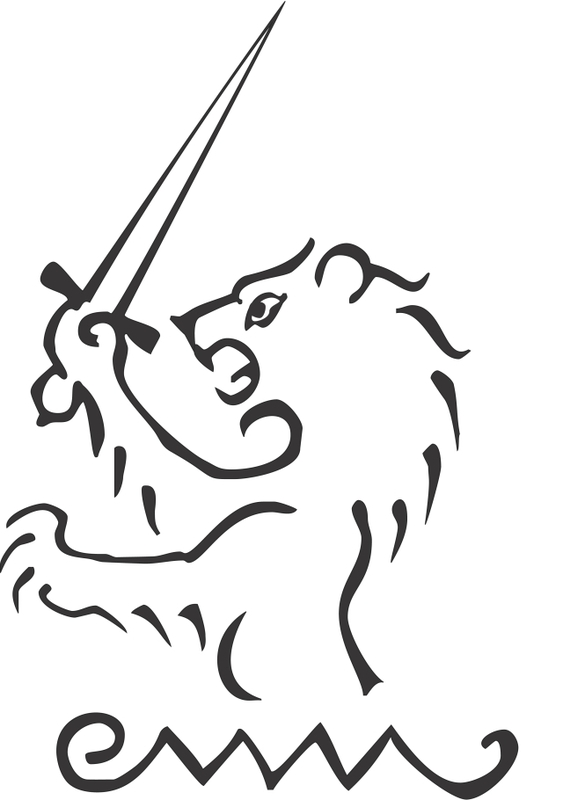 I have been trying to incorporate in my design work the principles of geometric design that I have been learning from noted swordsmith and researcher, Peter Johnsson. I do not claim to fully understand the use of all of these principles, but I am a firm believer in learning by doing and by making mistakes. Below is a picture of the geometric strategy that I used for this project. It reflects an early attempt at utilizing these principles. While I firmly believe there is nothing magical or mystical in these principles, I believe that these geometric strategies help to create designs that are pleasing to the human eye. There are shapes and proportions that strike a chord with us. Perhaps this is one reason these principles were used by master of various crafts throughout history. Since this project, I have made several more designs in which I have used the lessons learned from this project. My hope is to move step-by-step closer to a deeper understanding which in turn will help me to create more pleasing designs for future projects.